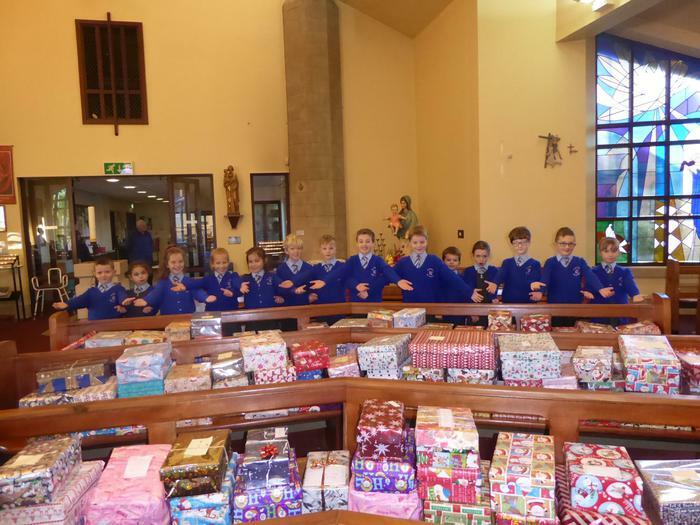 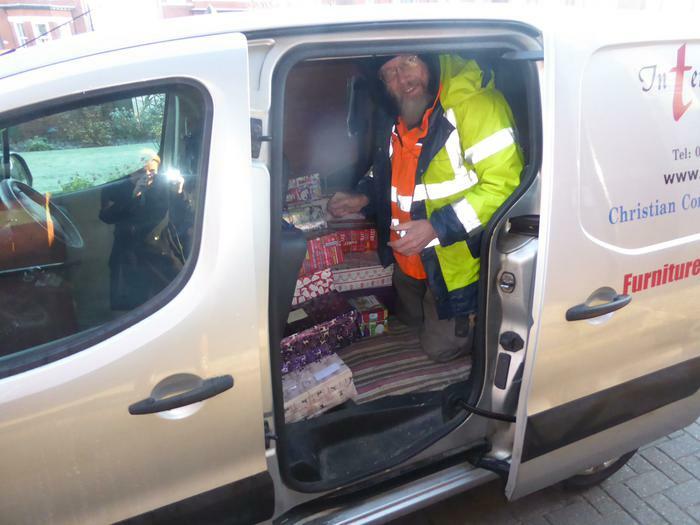 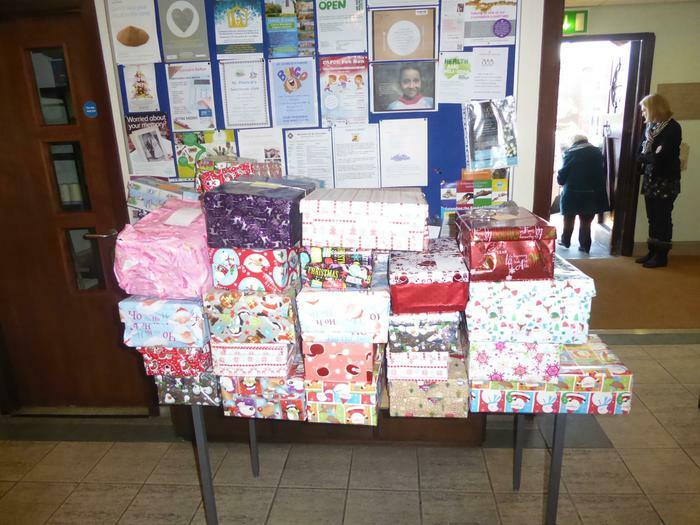 During Advent, we supported our Parish by filling shoe boxes for young children and the elderly across the world who are less fortunate than ourselves. 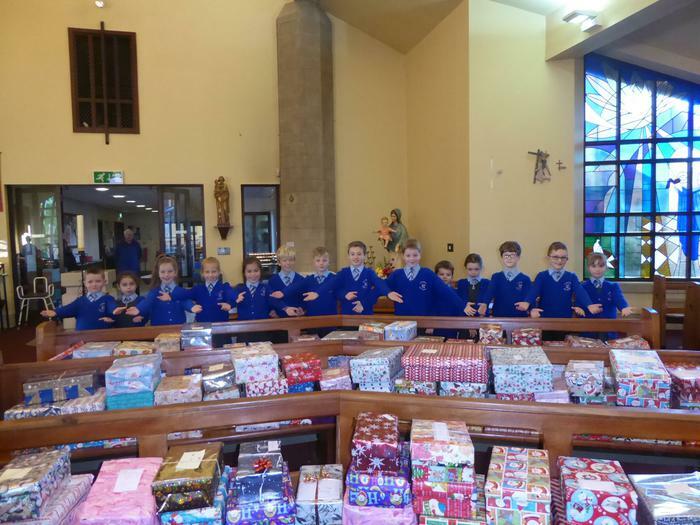 At Christmas 2015 years 3 and 4 presented 'The Gift', a Christmas celebration in St.Patrick's church. 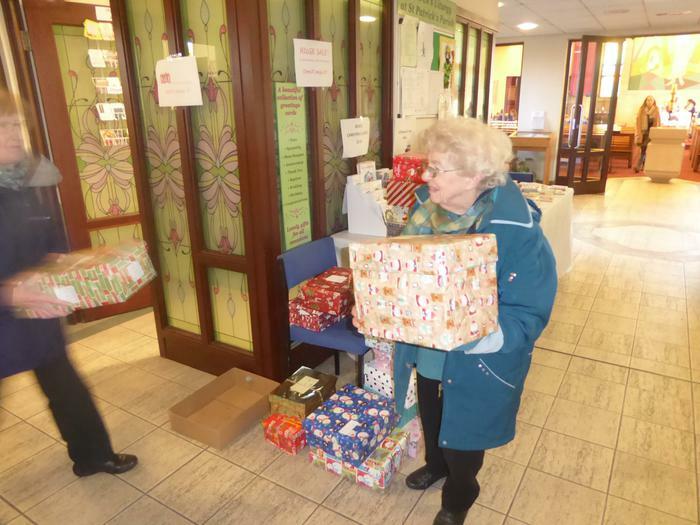 Afterwards there was a retiring collection which raised £400. 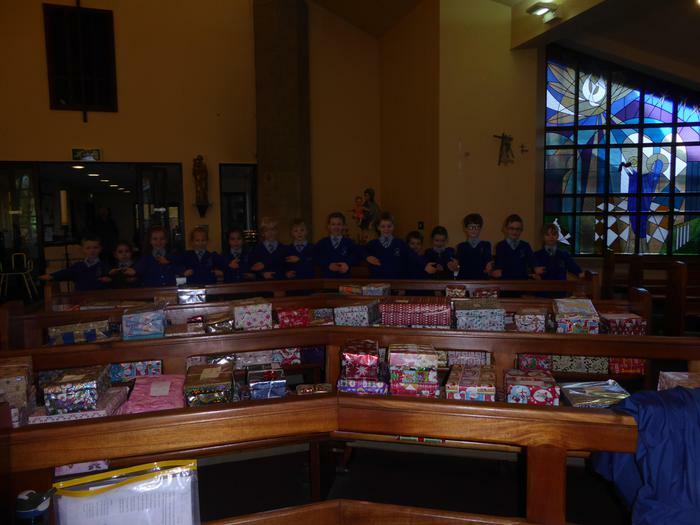 This money was sent to Jordan to support Christian refugee families.